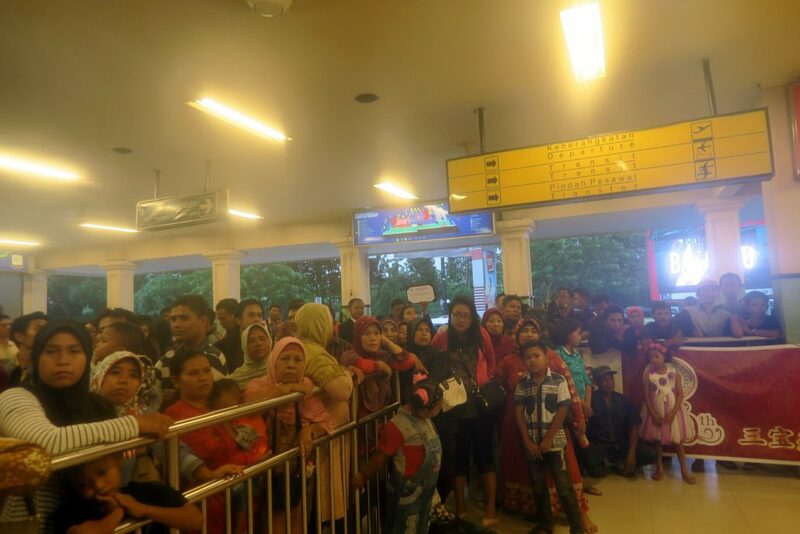 We arrived at Achmad Yani International Airport at around 4pm on Friday and was shocked when we walk out of the arrival hall. The airport was very small and there were many people standing outside. This is to warn you so you don’t get a shock when you arrive. As you can see from the photo, it’s really people mountain , people sea. There were many drivers approaching us and the price they quote is 3 times higher than the standard rate. To get out of the airport, we purchased a ticket from the taxi counter located directly beside the arrival hall. Learn from our mistake, we walk up and down not knowing what to do because we cannot find the taxi counter. You need to keep a good lookout! The taxi counter is directly beside the arrival area where you scan your luggage. The taxi ticket from the airport to Quest Hotel cost IDR 55,000. We purchased our ticket and made our way out of the chaotic airport! Phew! The cab journey was very long as there is a terrible jam. That is when we thought “lucky we never rent a car”. We arrived at Quest Hotel, it’s huge! 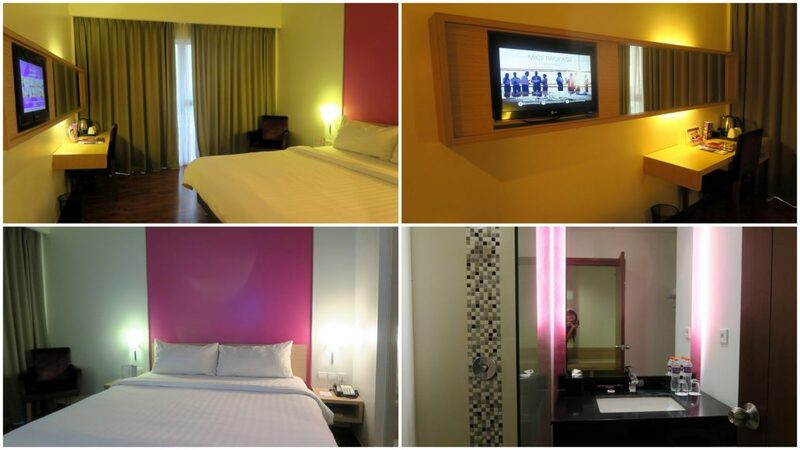 The rooms are very clean and cozy. 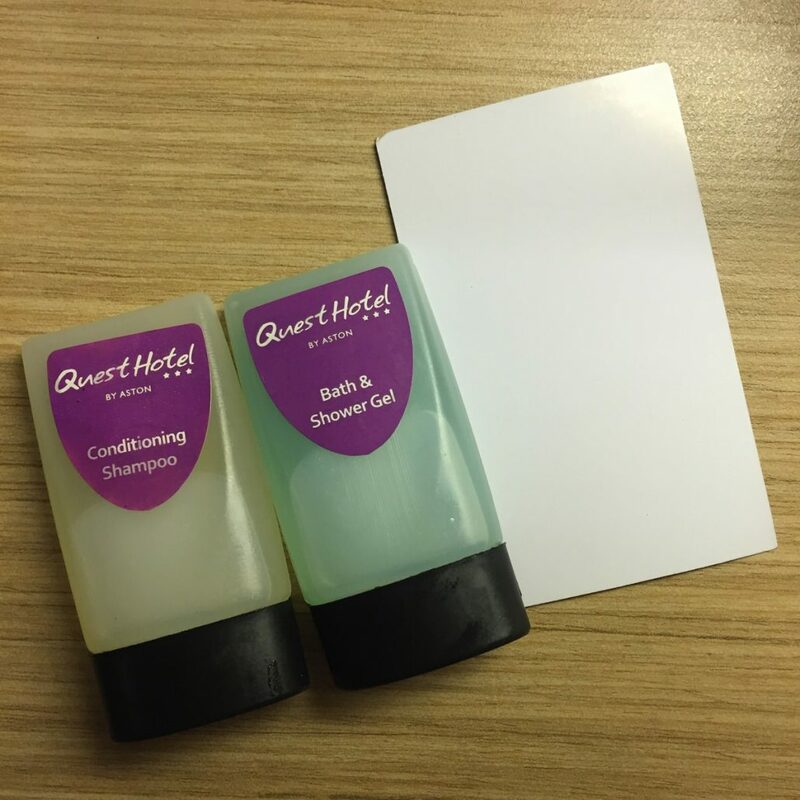 The shampoo and shower gel were mini-sized, it is smaller than a name card. You can purchase toiletries from the Indomart opposite or call the reception for another set! 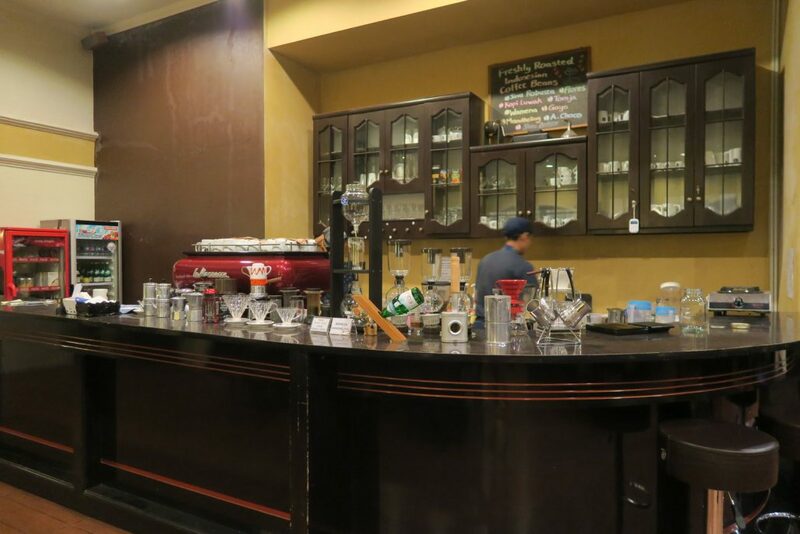 After checking in the hotel, we started off with dinner at Blue Lotus Coffee House. 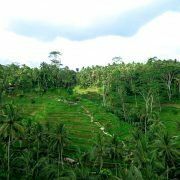 a good place to relax and chill. 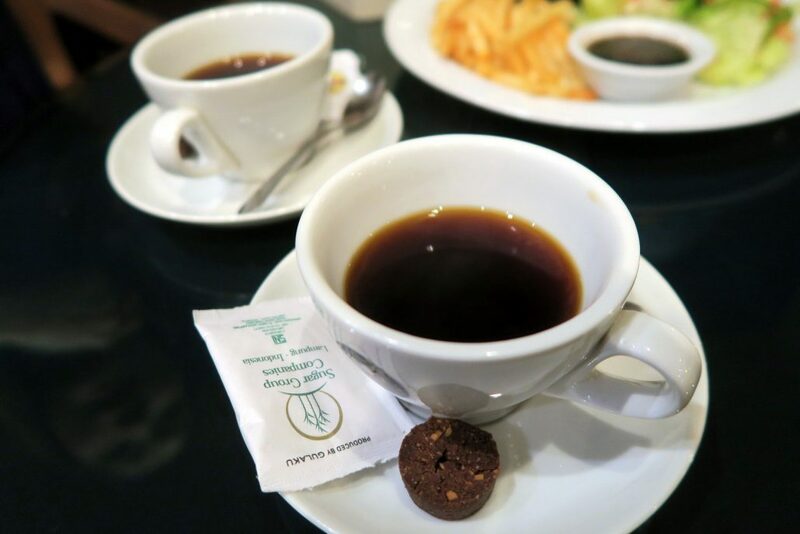 We tried the Luwak Coffee (Rp. 71,000) which is their special recommendation. 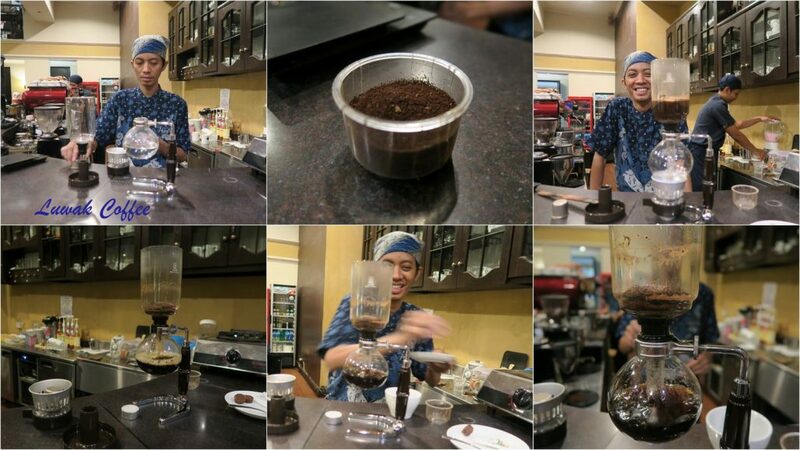 The barista was very friendly and demonstrated to us the brewing of Luwak Coffee. Coffee Beans were measured exactly 50g and grinded into powder. The Luwak Coffee was very balanced with sweetness and slight bitter taste. Here are some other food that we ordered! The BBQ Ribs (Rp. 82,000) was a special menu for dinner. The flesh was tender, however, the portion of meat was very little probably because the bones were huge! Lots of veggies from this dish! Mozzava Balls (Rp. 29,000) – Basically taste like deep fried potato balls with cheese! Crispy on the outside, soft and cheesy inside! Eat it while it is hot before the cheese becomes stiff! We spend a total of Rp. 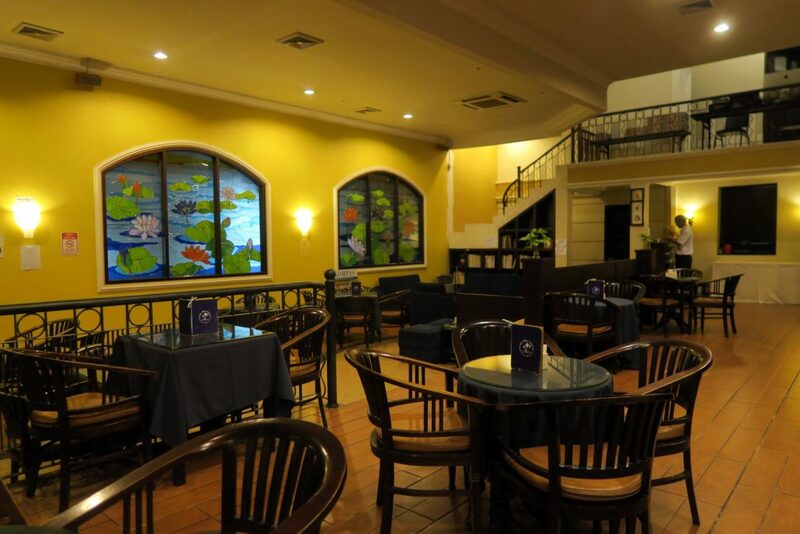 200,200 inclusive of the 10% tax in Blue Lotus Coffee House! 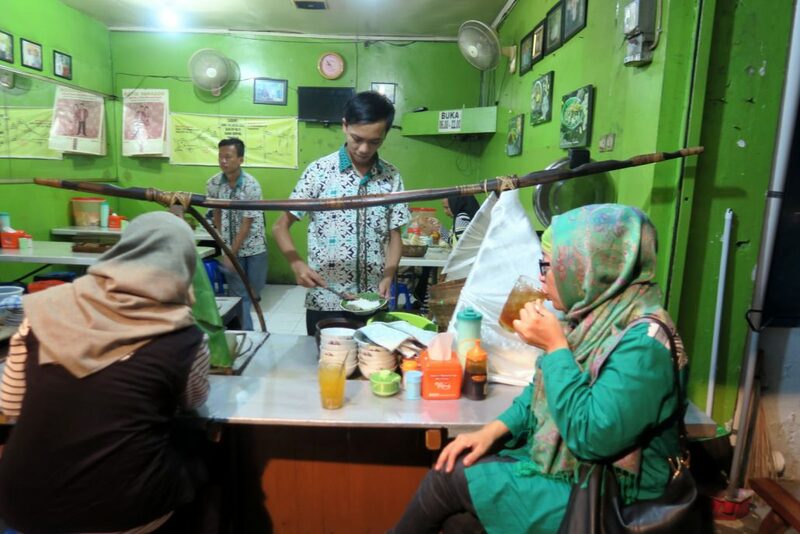 Next, we went to GAMA Ikan Bakar & Seafood, 3 mins walk away from Blue Lotus Coffee house. 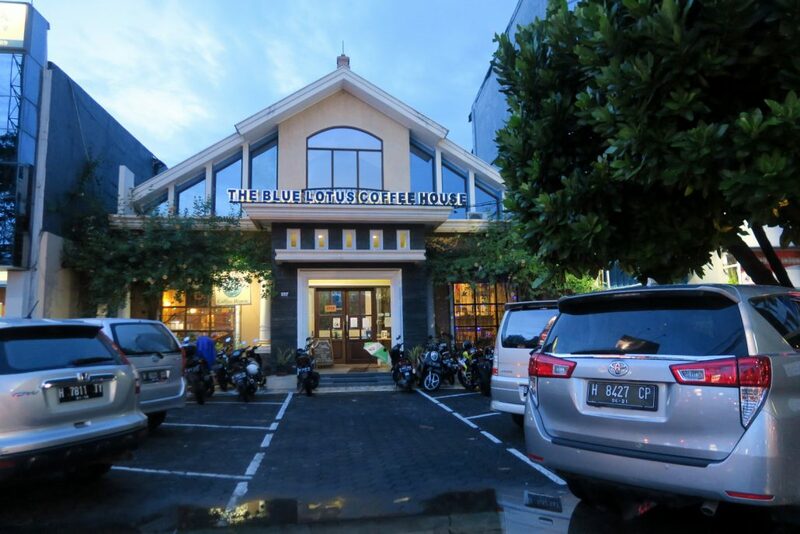 It is a spacious and peaceful restaurant that serve a wide variety of seafood such as ikan, kerrang, udang, kepitung, cumi. 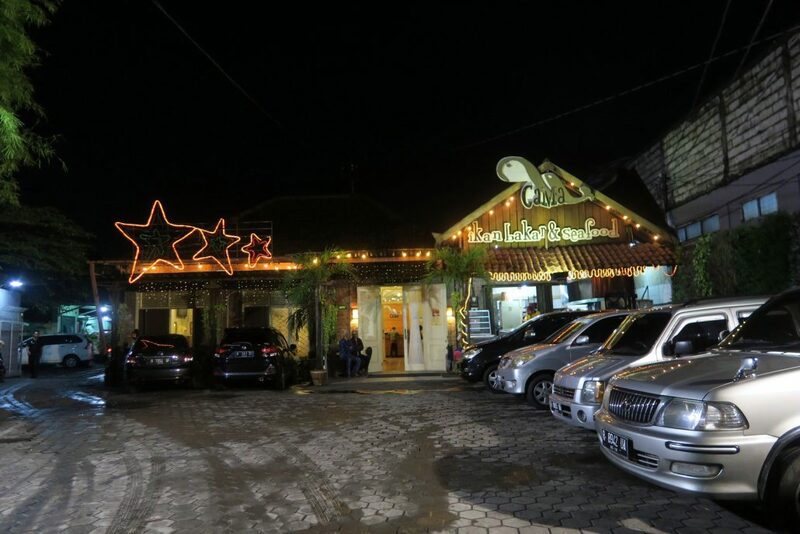 This restaurant is huge and crowded, they serve mouth-watering seafood! You can choose to sit in the air-condition section or outside to enjoy the cool breeze. 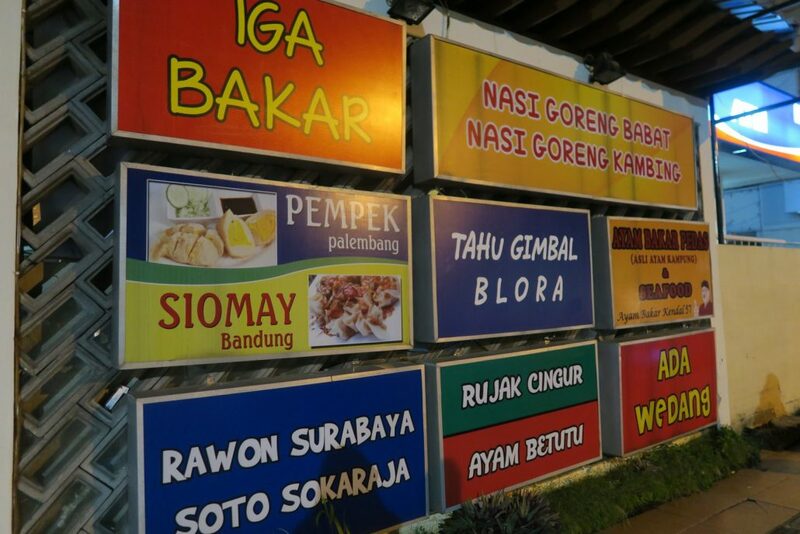 Honesty we had difficulties ordering as they are written in Bahasa Indonesia language with limited photographs of food. All the food that we ordered were absolutely delicious! 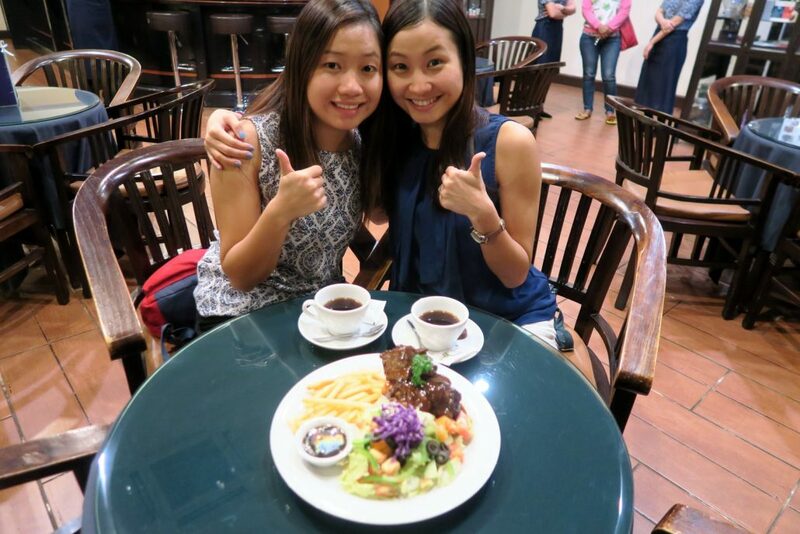 Even if you happen to order something that you don’t eat, it will probably cost less than SG $5. So go ahead, be brave and try out whatever you want! Top Left: Kepiting Lemburi Goreng Tepung (Rp. 54,545) – Taste like Japanese soft shell crab with KFC crispy skin! 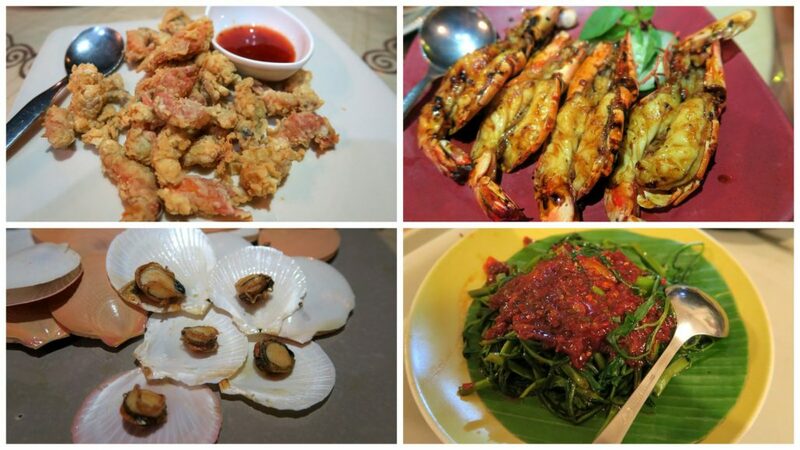 Top Right: Udang Bago Bakar(Rp. 54,545) – Perfectly grilled! The prawns were fresh, juicy, tasty! Bottom left: Scrimping Goreng (Rp. 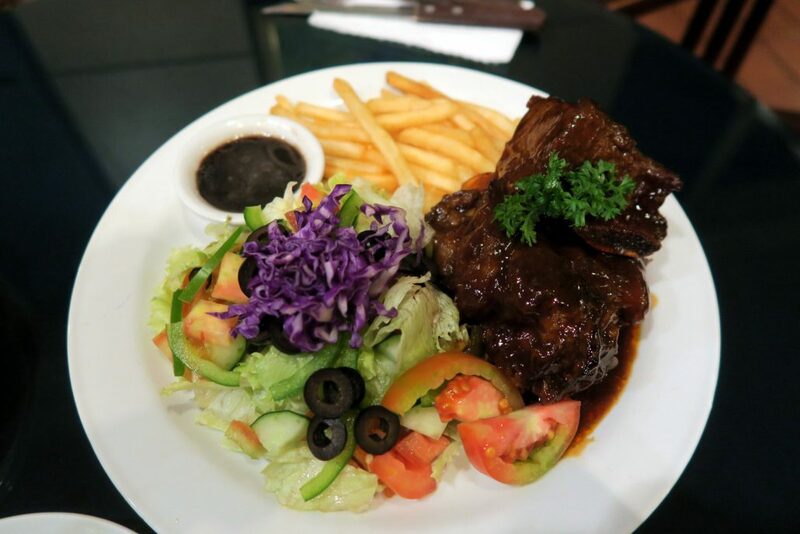 25,454) – We really like this dish! We would describe it as crispy scallop! 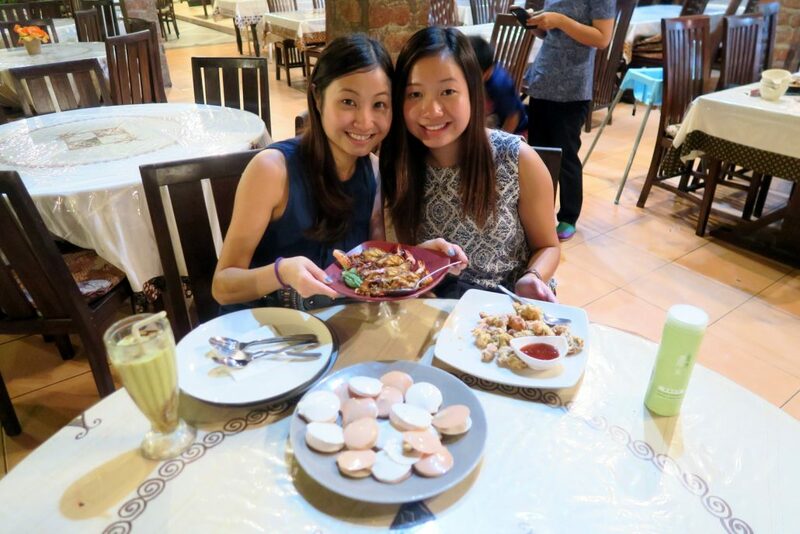 My sister still misses the scrimping goreng and she regrets not having more! 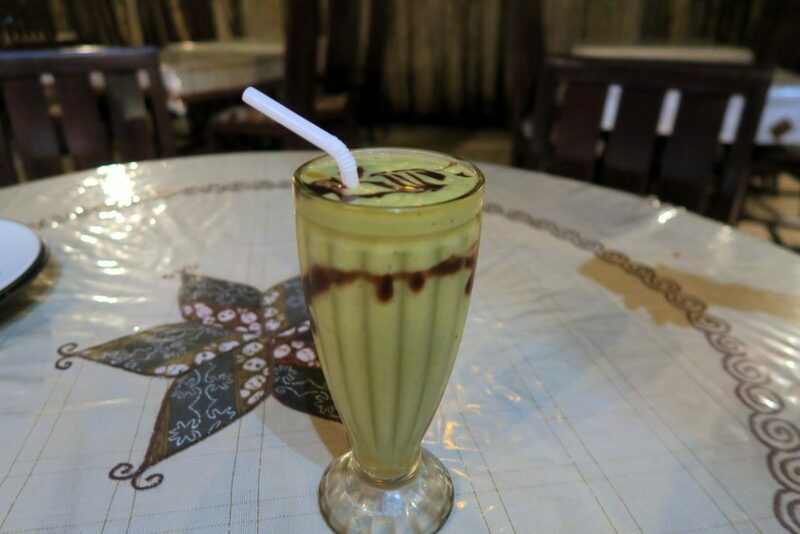 They serve many types of juices such as apple, melon, tomato, lychee, Mango etc. But I love this cup of Avocado juice! It was neither too sweet or bland! The 2 of us could finish all the food! This shows how nice the food here is! 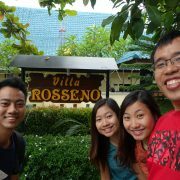 We took a cab to De Kosmo Factory Outlet where we started our shopping spree! 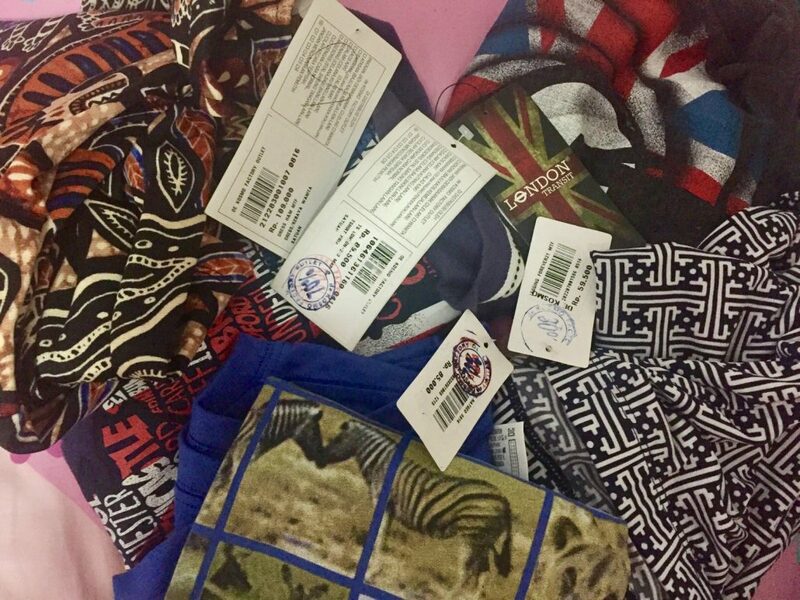 They have both ladies and guy’s department, selling expensive brands like Esprit, Burberry, Superdry, H&M, London Transit at a fraction of its price. Some tops even have 70% and it cost only SG$ 3! However, the sizing may be a bit off sometimes. It is safer to try them before you buy. We manage to grab some good deal at 70% discount! 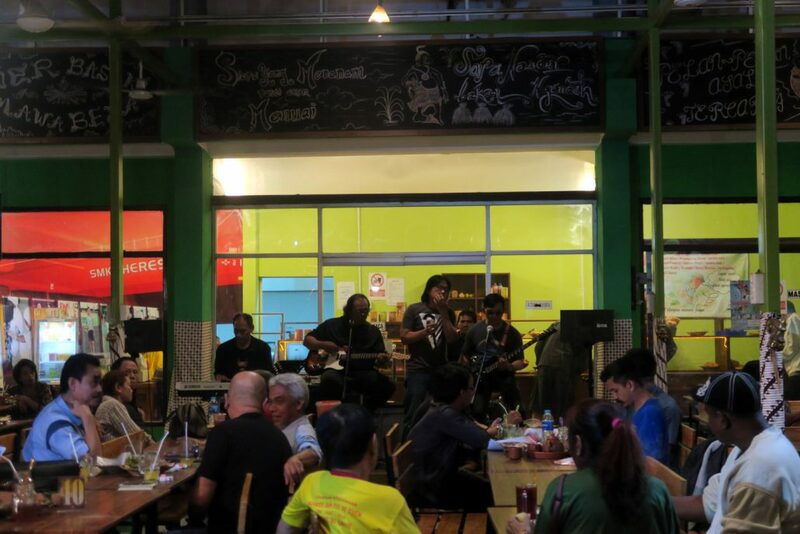 From here we took a stroll to Granari Angkringan where we blended into the local culture, enjoy local food and live music! 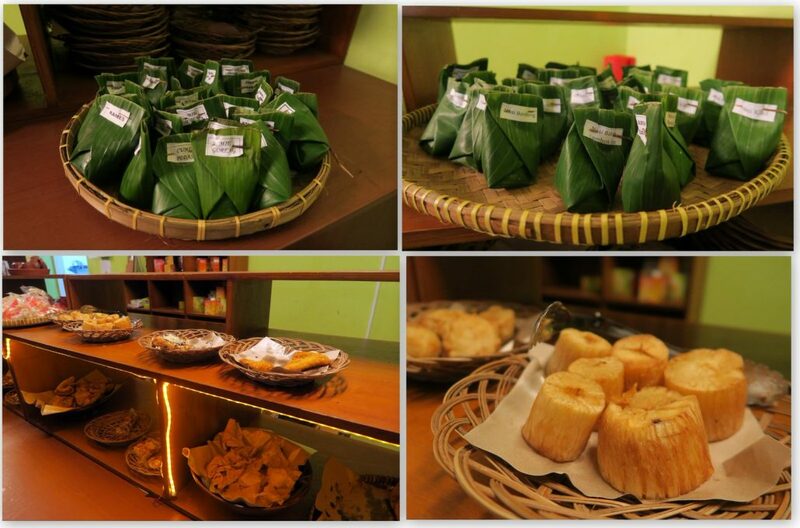 The rice and noodle are wrapped in pandan leave and the other sides dishes are laid out neatly. 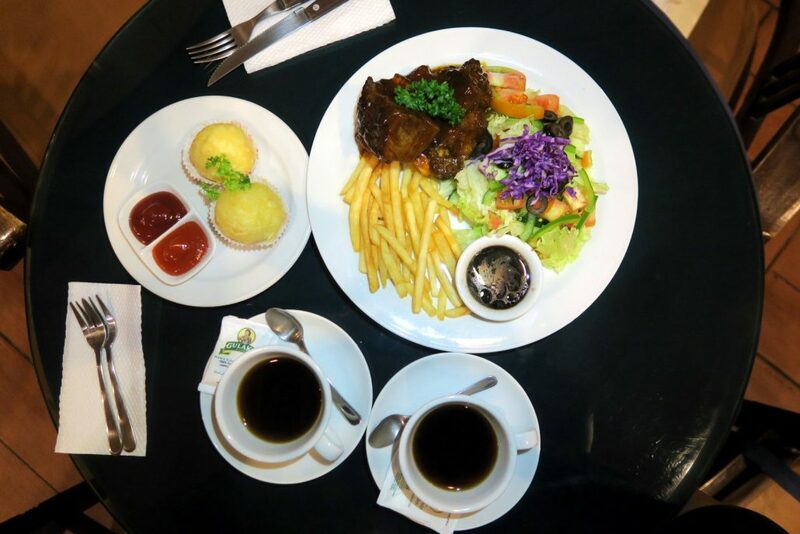 Here, you can choose what you want to eat! Next, we strolled and passed by Old Amsterdam Antiques but we didn’t get a chance to check out as it was close by the time we reach. 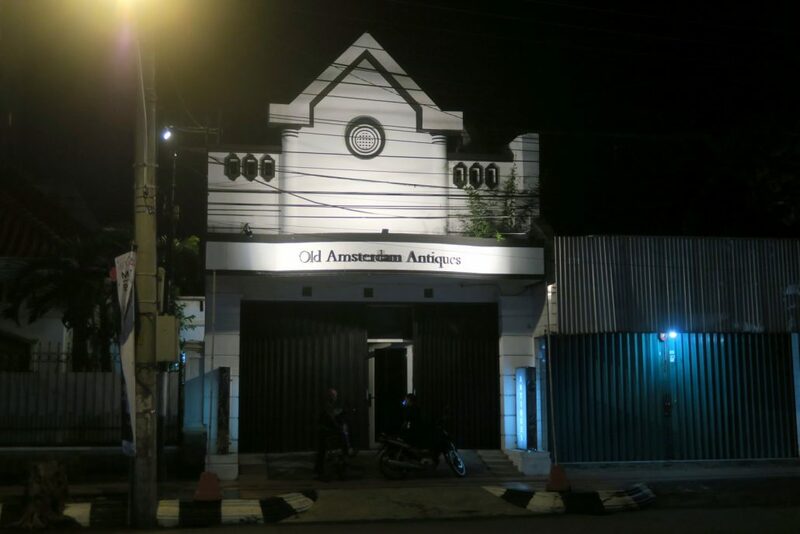 Old Amsterdam Antiques is actually a shop that sells a collection of fine authentic antique imported from France, Germany, England, Holland and Belgium. Check it out if you are interested in antique furniture, lamp, piano, painting. Along the way, we saw some local stall along the street and the famous Super Penyet ! 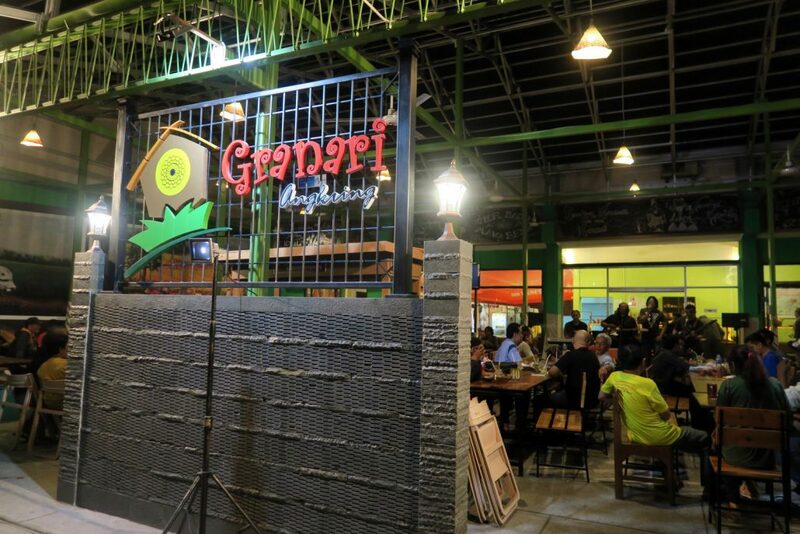 Semarang is said to be the birth of ayam penyet and we will be trying out the legendary ayam penyet tmr! 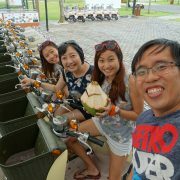 Click here to see day 2 of our adventures in Semarang! There is many Indomart along the street! 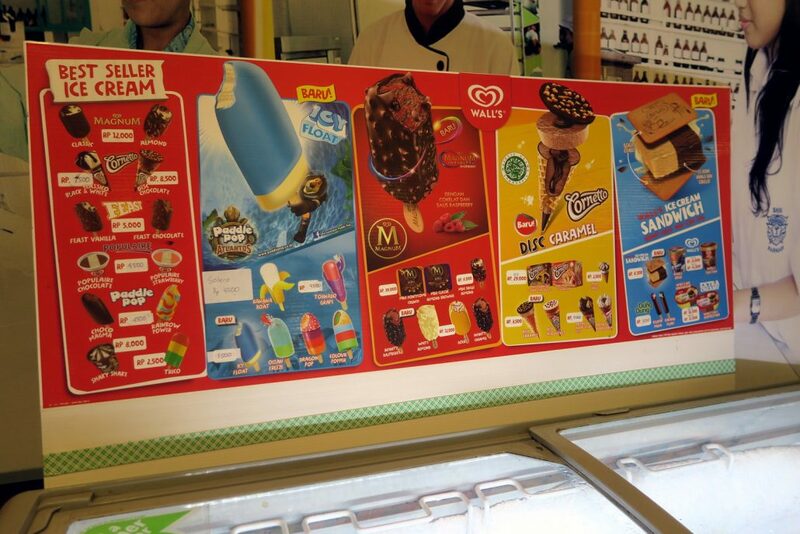 Do grab ice cream as magnum is only SG$1.20! Walked back to the hotel after that, it was pretty dark so we took the longer route instead of cutting through the small lanes. 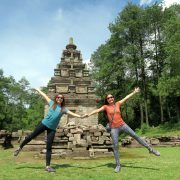 Click Here for the Ultimate Semarang Travel Guide! Read here for day 2 & day 3!